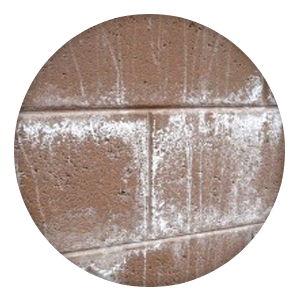 Efflorescence occurs when moisture in concrete and masonry migrates to the surface and carries salt minerals that react with air to create calcium carbonate. It is typically manifested as an unsightly, white chalky deposit on the surface. And it can be difficult to remove. 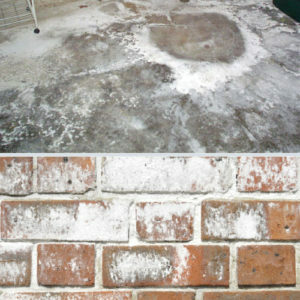 If efflorescence is the dandruff of concrete then NewLook’s EffLock is the Selsun Blue™ you need to reduce it! 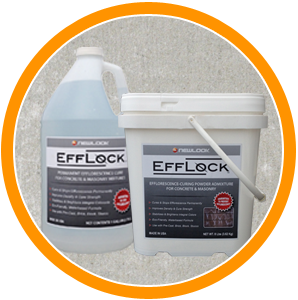 EffLock is a revolutionary product system that reduces both primary and secondary efflorescence in concrete and masonry mixtures. The water-based, eco-friendly formula reacts with and purges concrete chemical impurities at the nano-molecular level to prevent the leaching of efflorescent salt, resulting in enhanced concrete performance. NewLook provides a liquid or powder additive for cement and masonry mixtures that reduces both primary and secondary efflorescence. Use in concrete, masonry, brick, block, mortar, pre-cast and poured-in-place concrete. For best results, mix into the (batch) water before mixing with cement. 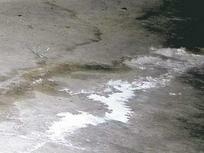 For existing concrete Efflock also comes as an efflorescence remover and topical treatment. 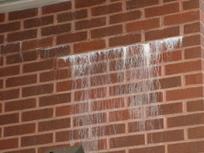 A liquid additive for cement and masonry mixtures that reduces both primary and secondary efflorescence. 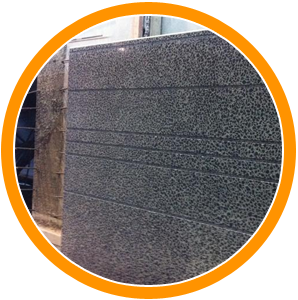 Use in concrete, masonry, brick, block, mortar, pre-cast and poured-in-place concrete. For best results, mix into the (batch) water before mixing with cement. Mix 8 oz – 10 oz (237 mL – 296 mL) per each 100 lbs of cement. 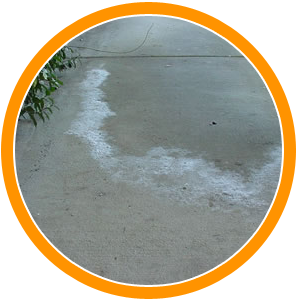 A powder additive for cement and masonry mixtures that reduces both primary and secondary efflorescence. Use in concrete, masonry, brick, block, mortar, pre-cast and poured-in-place concrete. Mix 4 oz – 5 oz (119 mL – 148 mL) per each 100 lbs (45 kg) of cement. 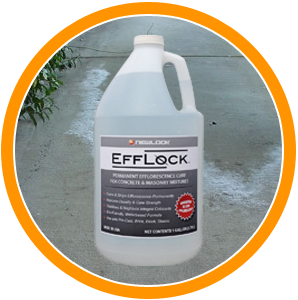 How Much EffLock Liquid Admixture is Needed? 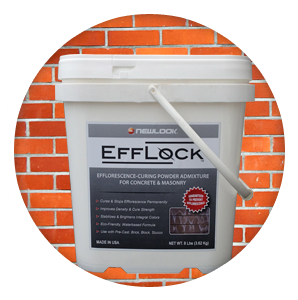 To determine the amount of EffLock needed, multiply the amount of cement (by weight) with the appropriate amount of EffLock Liquid Admixture. It depends on the weight of cement included in each cubic yard. Some ready mix companies offer a 6.0, 6.5 or 7.0 bag mix design using 94 lb bags of Portland cement (and other materials that are frequently included to make up a 94 lb “bag”, e.g. fly ash). 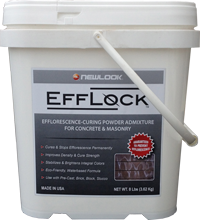 Remember, add 8 oz – 10 oz (237 mL – 296 mL) of EffLock Liquid Admixture per each 100 lbs of cement.